High Flow and Standard Raised Access Floor Tiles for Data Centers. Today’s data center generates more heat load. Therefore so has the need to deliver more cooling. Until now, only 25% open area perforated panels have been available. A limited capacity to deliver cold air adversely affects your overheated equipment. 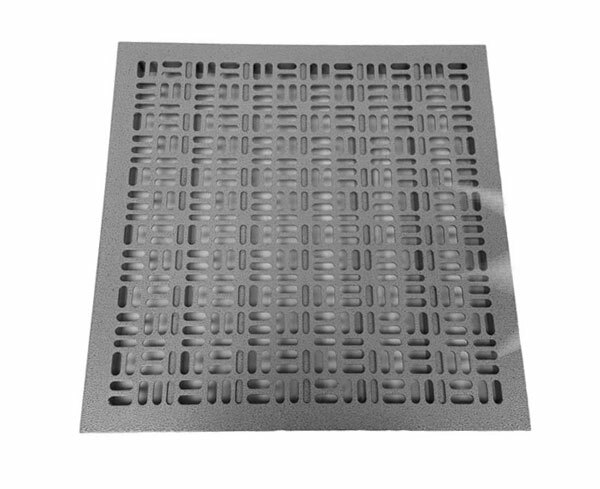 The High-Flow floor tiles from Infinity Air Grate are available in 55% and 66% perforation models to deliver over twice as much cool air in your cold aisle, exactly where your servers need it. 55% open area high flow floor tiles offer the same structural specifications as our 66% open tiles with slightly less air flow. Available in Steel and Woodcore fitments. Click below to purchase online now. The all steel AF320 Air-Flow Panel manufactured by ASM provides both strength and performance in an attractive package. The 32% open area, ADA compliant pattern, provides 2,070 CFM air flow at 0.10 static pressure. The panel is rated for a 1500 lb. 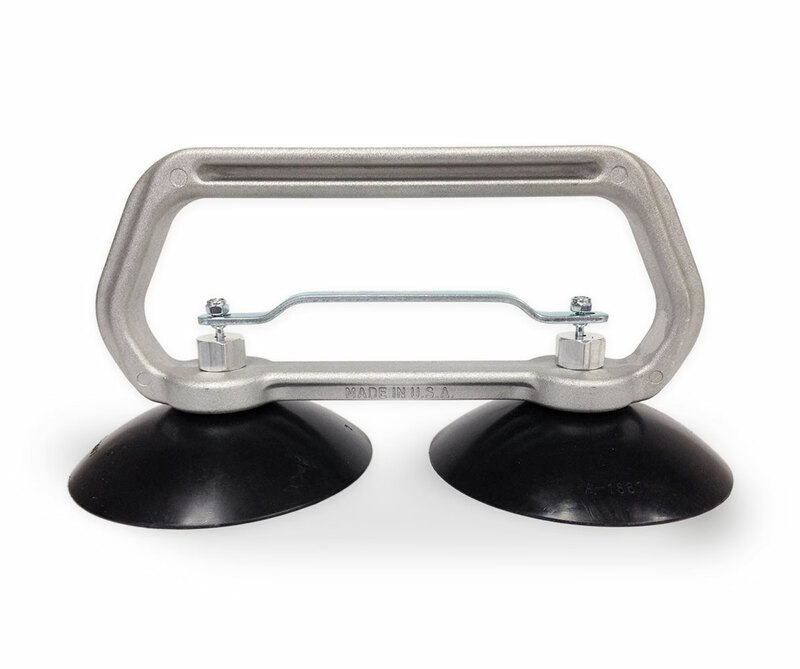 concentrated load with a 3 to 1 safety factor for an ultimate load of 4500 lbs. Our best seller, the FS-Series Panel system, is constructed of a welded structural steel assembly designed to accommodate ultimate and dynamic loads. 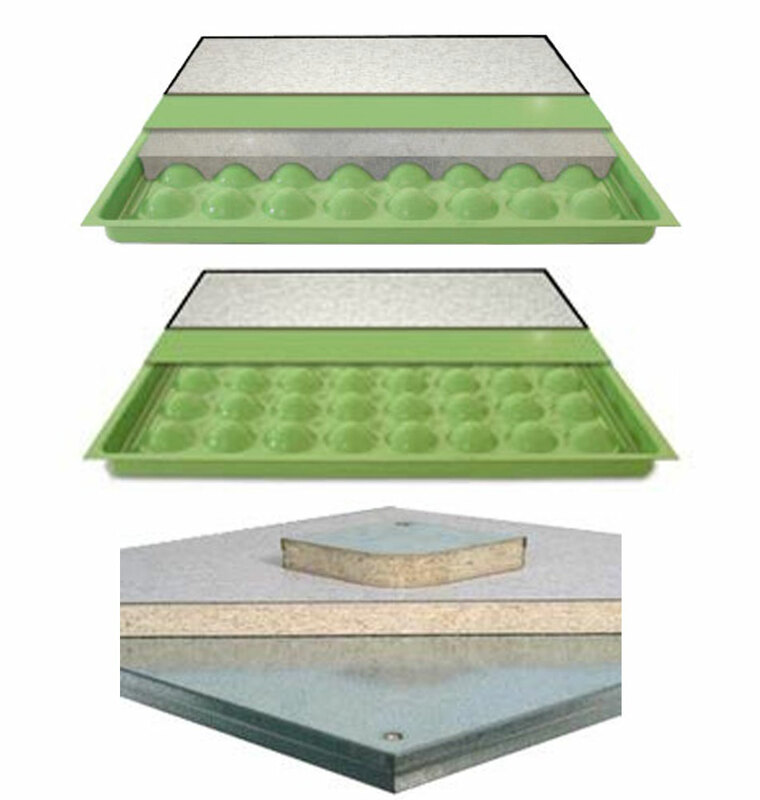 Its specially formulated cementitious fill and powder coated epoxy finish give the FS panel a quiet and very solid feel underfoot. Panel systems available in both 24” x 24” and 600mm x 600mm. to your access floor needs. 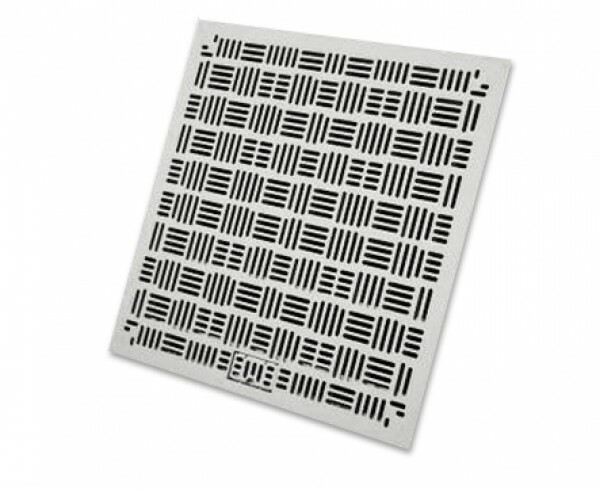 Clear floor tiles not only provide a quick glimpse of the general condition of the plenum space but also allow for seeing displays indicating temperature and air pressure underneath the tile. This can be valuable information in recognizing cooling issues before they become dangerous to critical equipment. 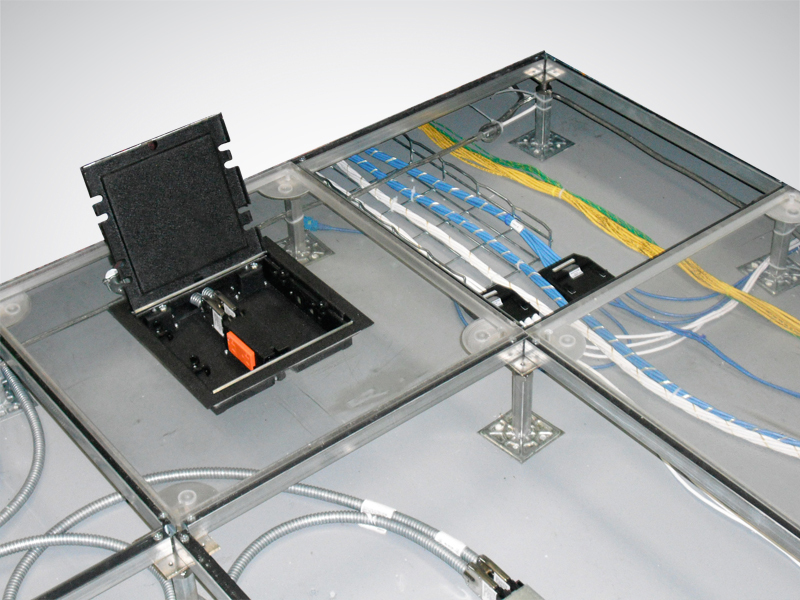 The sub floor space in many data centers used to look like a spaghetti maze of cables or a storage room for computer boxes. However, those obstructions had a major impact on the performance of under floor air delivery. To improve cooling efficiency, many data centers are clearing out those boxes, managing cables and paying better attention to the sub floor conditions. The Double 5″ Cup model is our current best seller because it has a greater lifting capacity than our other models and offers greater stability due to the larger size of the suction cups. It is the best tool for an area where floor tiles are lifted repeatedly. Model A6541.